The process of forming the government in Lebanon is still obstructed and is held captive by Hezbollah’s plots and machinations, which it does not hesitate to use whenever necessary. Thus, whenever any visible signs of resolving the situation and forming a cabinet appear, Hezbollah would pull a rabbit out of its hat. 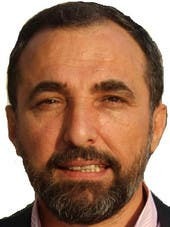 For example, stoking a crisis over appointing a minister from the Sunnis of the March 8 Alliance, the name given to a group of Sunni MPs who belong to political blocs that were represented in the supposed government but later announced themselves as a parliamentary group without taking the trouble of creating a parliamentary bloc. They were fully endorsed and supported by the Secretary General of Hezbollah, Hassan Nasrallah, so they achieve what they want. This position was tantamount to announcing the postponement of cabinet formation and preventing it from seeing the light. It is no secret that the reason behind the obstruction is mainly foreign as it aims to serve Iranian interests, especially that the prospective government that Hezbollah prevented it from forming was a government in which the party along with its allies and followers held the majority, i.e. 17 out of 30 ministers. Despite that, it does not want to form a cabinet. The strategy behind this action has been exposed and is often repeated, as former Prime Minister Tammam Salam pointed out when he said that his previous government, which took about a year in order to be formed, was finally declared when the Americans and the Iranians reached a nuclear agreement in 2015. According to Salam, the latter deal is why Iran allowed the cabinet to be formed. In fact, Iran is wasting its cards in the Arab region and especially the Lebanese card. What is currently needed is Western pressure on Iran for it to talk to Hezbollah and ease the process of Lebanese government formation. Yet, this is not possible today. In fact, the parties Tehran wants them to knock on its doors are not really interested in any bargaining at this stage as their priority is the US sanctions which nothing should affect implementing especially that what Tehran wants is reducing these sanctions. The same thing has happened in Iraq where Washington has turned its back on all Iranian attempts to lure it into negotiating over who gets ministerial posts. What bothers Iran the most is Washington’s indifference towards who becomes minister of the interior or the minister of defense in Iraq. It seems Washington has decided it will not be dragged into any negotiations with Iran over minor issues as long as these talks will provide a gain for Iran. Consequently, the US administration has raised its 11 conditions in the face of Tehran and the latter has to first comply with these demands, and only then the US could engage in negotiations not to amend them but on how to implement them. These demands do not separate the Iranian nuclear file and Iran's foreign policy, but rather deal with them as one file without being divided. In short, Washington is not interested in Iranian offers and does not appear susceptible to blackmail. The administration of President Donald Trump is clearly focused on changing Iran's behavior. Thus, Iran’s attempt to lure Washington into negotiating on secondary issues seems impossible. This has made Tehran incapable of using its regional influence in order to evade American sanctions, which explains to a great extent the inability of Russia and Iran to transform the victory of their alliance in Syria into a political outcome. The meetings in Astana have thus failed in converting Russian and Iranian superiority into a political solution, as long as Washington and Europe, along with the Arab nations, do not bestow any legitimacy to the conference. In fact, the United Nations representative in Syria, Staffan de Mistura, has dubbed it a failure. This is a clear sign which shows that neither Tehran nor Moscow will benefit from their military achievements as long as the international position insists on the Geneva decisions as the benchmark for a solution. Most importantly, neither Tehran now Moscow are capable of rebuilding Syrian infrastructure without Washington's support. The situation in Lebanon is a microcosm of this situation. Hezbollah (the Iranian arm) is the strongest on the military and security levels and controls Lebanese geography and the levers of authority and the state to the extent it wants and not to the extent it can. Yet, this excess of power is what makes the party so confused or rather incapable of governing the country in its entirety and so it always seeks to subjugate other powers and either lure them or force them to implement its policies. This has not been done by Hezbollah because it wants to be partners with them, as the party officials always claim, but the aim is to make gains in power while also assigning the power’s responsibilities to others — its so-called partners. Proof to that is how a word from Hezbollah’s secretary general can obstruct the cabinet formation or advance it. Hezbollah is now waiting in Lebanon to find the way US sanctions play out against Tehran along with other sanctions against it. It is observing how the settlement process will play out in Syria as well as what will happen in Yemen. It is incapable of playing an active part in these developments which now lie at the heart of any solution. Complex crises and constant wars have reduced its options and has pushed the battered Arab region to a new stage. Hezbollah’s main purpose has now ended, namely its combative and destructive function. It has completed its destructive mission and is now facing the rubble in Syria as well as the political, social and civil mess in Lebanon and where it is present. Hezbollah does not have the qualification to contribute to the building of a state. It masters the art of destroying countries and has flawlessly accomplished this task. Hezbollah's strength thus lies in its ability to obstruct and destroy and not build, to create crises and not find solutions and to divide societies and deprive them of their vitality and innovation and not to establish an attractive model free of fanatic and sectarian ideologies. Hezbollah breathes and subsists on crises and suffocates in the path of solutions. It is thus confused in the wake of its military superiority over all factions in Lebanon, since this superiority and victory imposes a number of responsibilities on the victor, responsibilities it’s incapable to bear. These responsibilities relate to nation-building, improving the economy, society and politics and other elements pertaining to the state and not to the militia, the military and security organization or even the jihadist one. The obstruction of the Lebanese government and the extortion of the international community have come to an end. Hezbollah which caused havoc with its involvement in all regions of the Arab world is the same organization that has been extremely disciplined when it comes to causing harm to Israel's security. The southern borders of Lebanon with Palestine have become the typical example of stability in the Middle East. Hezbollah is even incapable of talking about crossing the road to Jerusalem, a remark it has often made during the Syrian war. It has turned from a party that has long fought and accused Palestinian organizations of treason because it believes they were negligent regarding the Palestinian cause into a very disciplined party regarding the security of the borders of occupied Palestine. The maximum that the Hezbollah leader says is that if Israel attacks, they will hit back, and the party thus succeeded in turning the page on all its past declarations regarding ending Israel and the liberation of Palestine, and even the liberation of the Shebaa Farms. Hezbollah’s strength is no longer an advantage but it has turned into a shortcoming. This power may collapse and fade after the dissolution of what established it as a force aimed at liberating Palestine and establishing the Islamic rule. Its sole purpose now is to dabble in power in its most blind sense. The party is unable to determine friend from foe and is incapable of saying what it wants or even know what it wants in the first place. The maximum that Hezbollah can accomplish today is look for victory, even a fictitious one, such as the case is in Lebanon – a victory over the crumbling state and via an intermediary who is Wiam Wahhab. The party has nothing to say to its supporters except that it is capable of manufacturing the March 8 group of MPs and elevating Wiam Wahhab in the face of Walid Jumblatt or Saad Hariri. It is the end that usually follows the illusion of a statelet’s victory over the state and the exposure of the reality with all what this “victory” includes in terms of emptiness and disgraceful political and cultural defeat.